Since its Groove service was discontinued on December 31st, 2017, Microsoft has turned to its Spotify integration as a replacement. 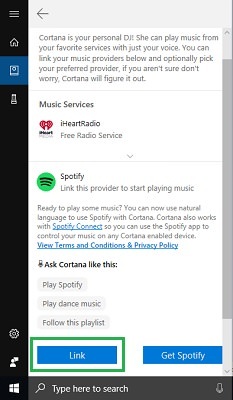 Starting with the Windows 10 April (version 1803) update, users can now use Cortana to control music playback from Spotify. 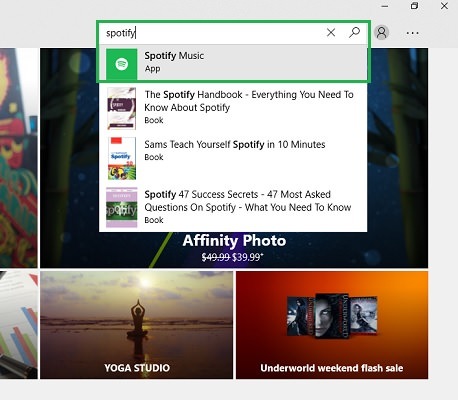 In this guide, we will show you how to control Spotify using voice commands with Cortana. Go to https://www.spotify.com and click Sign up to create an account. A free account will do. If you already have a Spotify account you may skip this step. Open the Microsoft Store by clicking the Windows key and scrolling down to and clicking the Microsoft Store icon. Use the search bar to find and install the Spotify App. 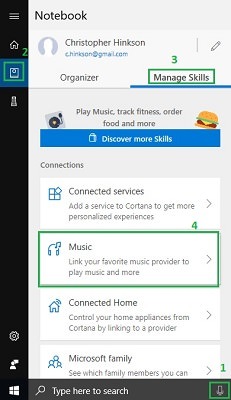 Click the microphone icon in Cortana -> Click Notebook -> Click the Manage Skills tab -> Music -> Spotify ->Link. 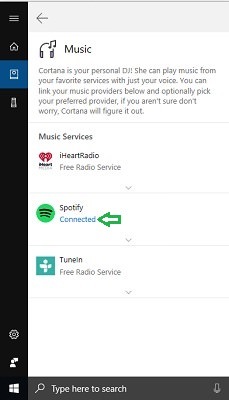 This will open the Connect to a Service window where you will be required to log in to your Spotify account. Once you have successfully logged in with the username and password you created in step one, you should see “Connected” appear below the Spotify icon. Question Four calamities at once: Menu, Cortana, Office and Edge won't work. 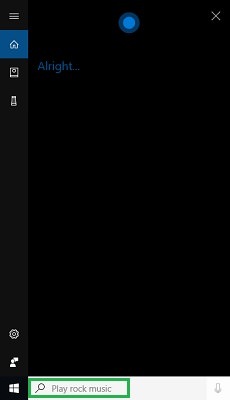 Cortana speech basically doesn't work. [HELP] Cortana MISSING, only have search text box! [SOLVED] What should be the wattage of my PSU? Question manually connecting HDMI everytime causes problems to gaming servers?